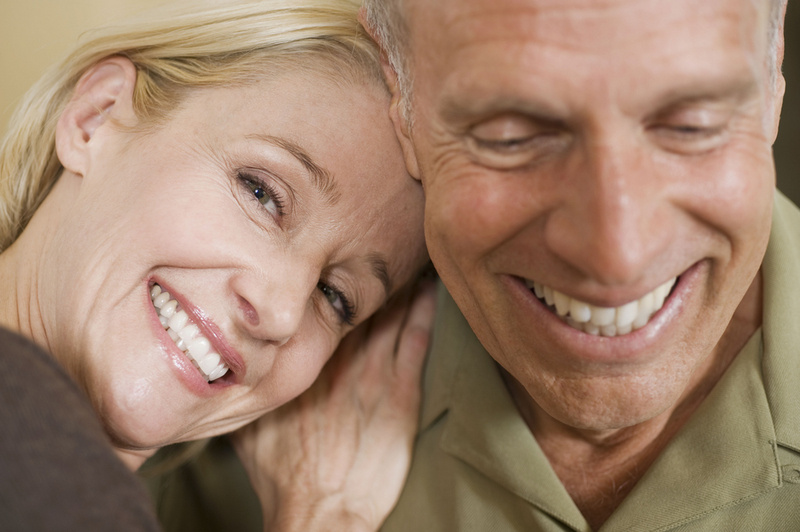 Dentures are a durable, attractive way to restore smiles with missing teeth. At South Shore Dental Care, our dentists believe that quality replacement teeth should be indistinguishable from the real thing. Dr. Dory Stutman and Dr. Khalida Stutman leferage advanced training and extensive experience to design custom dentures that look like natural smiles. Your teeth play a crucial role in your appearance and self-image. Incomplete smiles are a source of embarrassment and discomfort, and without sufficient teeth, your diet may suffer. If your teeth were lost because of gum disease, and you’ve not addressed the issue, you face increased risk of developing serious health complications, including heart attack, stroke, osteoporosis, Alzheimer’s Disease, and more. Dr. Dory and Kalida Stutman are cosmetic and restorative dentists who care about your smile and quality of life. They deliver custom dental solutions that provide lasting beauty, comfort, and function – and change lives in the process. Your dentures will contain natural-looking prosthetic teeth set in a realistic, gum-colored base. Premier Massapequa dentists Drs. Dory and Khalida Stutman work with top dental labs that use the finest materials to create custom restorations. We’ll ensure that your dentures fit like a dream and provide lasting satisfaction. There’s no shame in wearing dentures – but no one has to know, either! Your replacement teeth will look life-like and deliver a strong, healthy, and beautiful smile. If you have trouble attaining a secure fit with a lower denture, ask about affixing your denture with state-of-the-art dental implants. Call South Shore Dental Care today to schedule your consultation with Dr. Dory Stutman or Dr. Khalida Stutman, innovators in modern dentistry. by: Dr. Stutman's Office at July 27, 2009 .